Strength/Destruction tests have been performed. 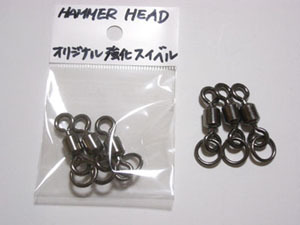 Cautions of handling of HAMMERHEAD products !! 1) Do not use for purposes other than fishing. 2) Please store where children cannot reach. 3) When casting the lure, please be sure to check your surroundings. 4) The hooks are sharp. Please be careful when handling. 5) Please do not store in hot/humid environment. It may be subject to deformation..